It is almost to the point of repetition, but September passenger numbers were up by no less than 13% on last year, and that in spite of some inconsistent weather during the month. But what really made the month stand out was the last weekend’s operations where passengers decided to enjoy a final scenic trip along the lake before the nights close in and the railway reverts to its winter schedule. The figures for the last weekend of the month were 125% up on the same period in 2017, a healthy increase to say the least. The aforementioned schedule now features Thursday running as well as a lot of activity over the half-term period, 21st – 31st October. Rather than promoting the Halloween Specials at the end of this News Update, we include them here as they will run on the 27th and 31st. The bookings are healthy and getting busier, so please do not delay. Visit our Special Events page for further information. In a variation from the usual news items, we are delighted to describe a visit with a bit of a difference to Llanuwchllyn, albeit on the 1st October but who is watching? The Snowdon Mountain Railway was hosting a visit of a loco and crew from the Brienz Rothorn rack railway in Switzerlandand BLR volunteer and SMR fireman Liz Partridge had the inspired idea of bringing the Swiss crew over to Llanuwchllyn for a bit of light relief, change of scenery and running on the level. The three man team was made up of two Swiss and a Yorkshireman who has lived in Switzerland for many years, a facet that was particularly appreciated as the command of English of the other two was not that strong, although it has to be said better than our German! The day was in fact a designated Driver Experience Day but after that had ended, Norman and Barbara Cooper took over Alice and, having attached one of the Penrhyn Quarryman’s open coaches, took the delighted Swiss team for a memorable ride along the lake, each in turn taking the regulator. 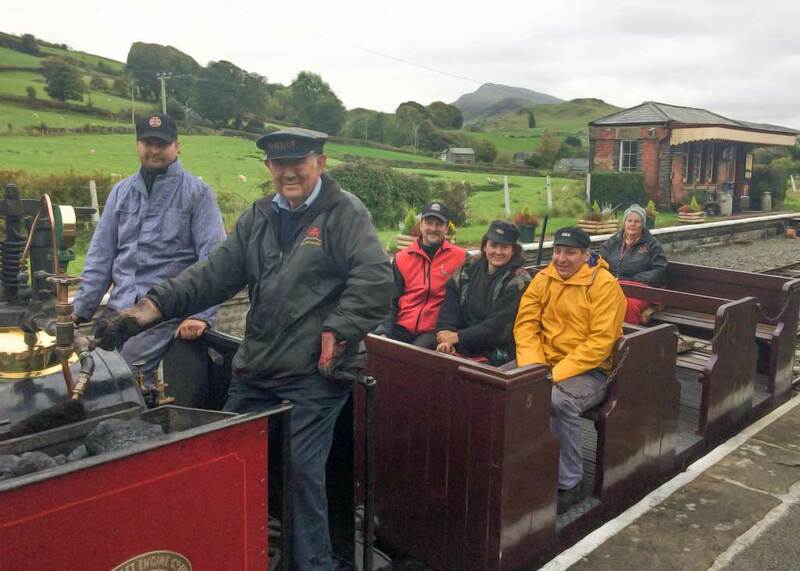 What made the trip special for the visitors was the conclusion of the day back at Llanuwchllyn when traditional BLR ‘smokebox’ baked potatoes were served for an early supper on the platform. All credit goes to Liz for the inspired idea which, we hope, left the Swiss crew with wonderful memories. It makes us wonder what variation they will put on our baked spuds routine back at Brienz. As reported last month, the major news on our locomotives is about Holy War which is to have her 10 year overhaul. 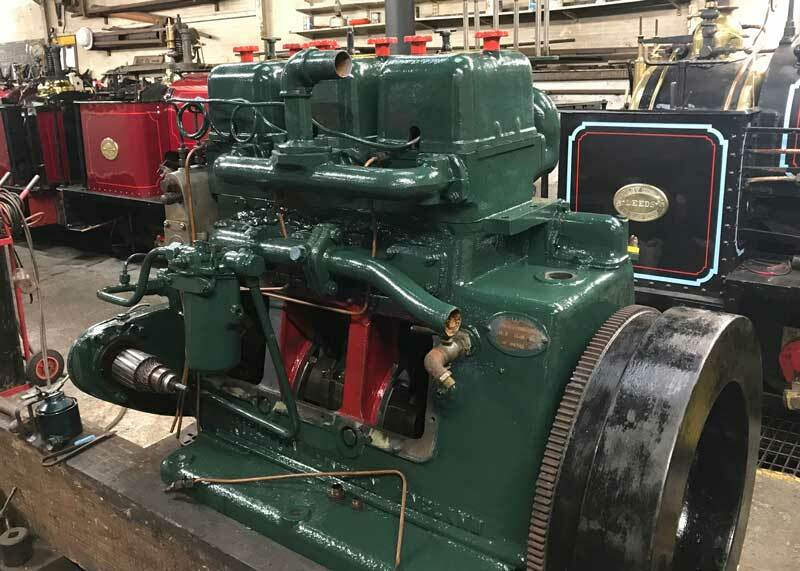 Work has started with the careful removal of the exterior ancillaries and brass-work before the main task of boiler removal happens later in the year. 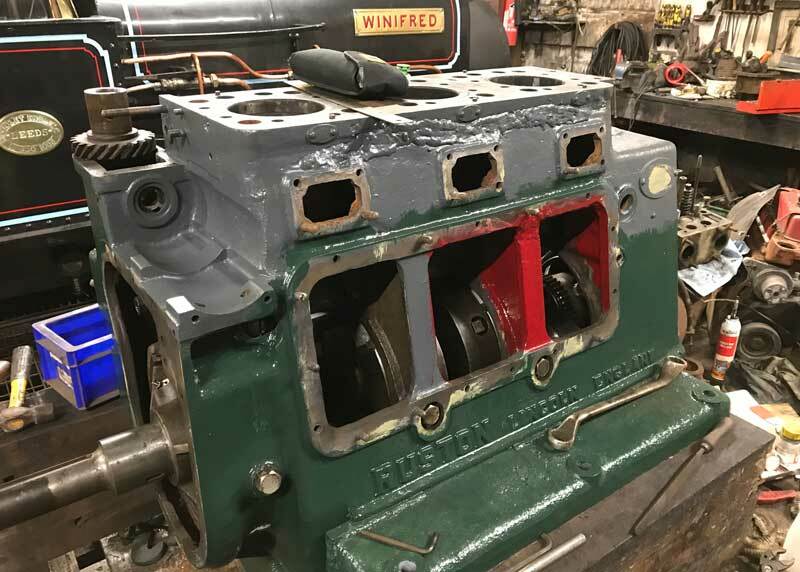 Likewise, as per last month, Chief Engineer Rob Houghton has been making great progress with the ‘stitching’ of Chilmark’s original engine block after it cracked on a very cold night years ago shortly after a major rebuild! A great many special welding rods have been used, over 60, and the work has, so far, been a great success. 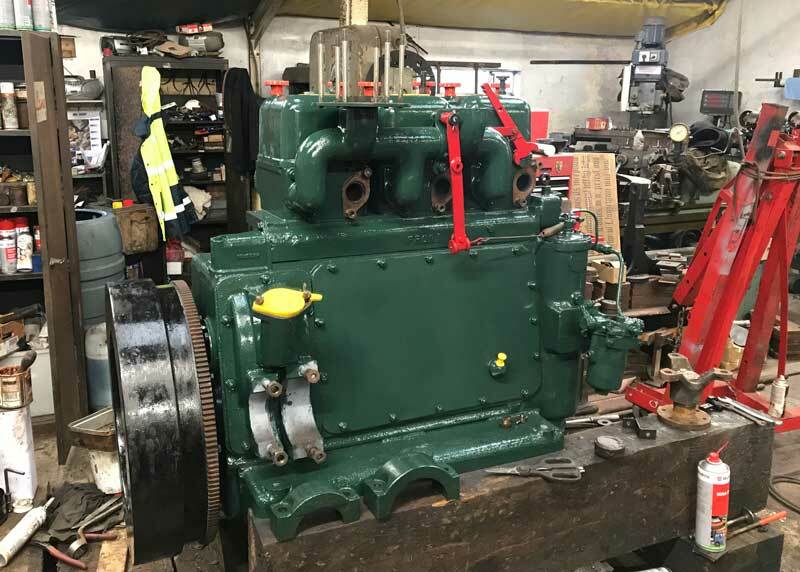 Rob is obviously confident as he has already painted the block in a fetching shade of green, with other bits highlighted in red, and all who have been watching this operation await the day that the reconstruction of the engine is finished and she is started again. Knowing our engineering team, either Rob or Dan Laidlaw will take some footage of the successful first start, and Chilmark’s return to service will be welcomed by all at the railway, particularly as our faithful Trigger will welcome some TLC. 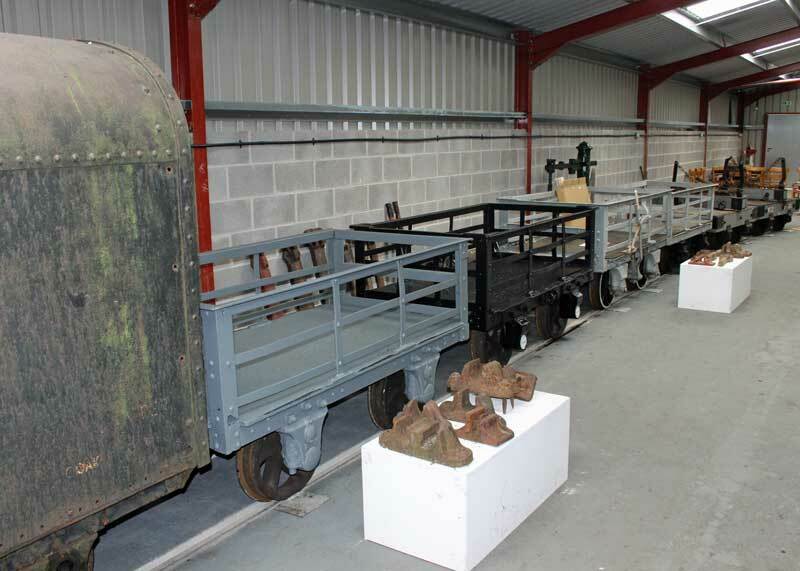 The Bala Lake Railway Heritage Interpretation Centre is situated in the new carriage shed and thanks to the enthusiasm of all involved, we are building quite a collection of items, either donated to or restored in Llanuwchllyn, from which the public can see the fascinating history of slate operations. 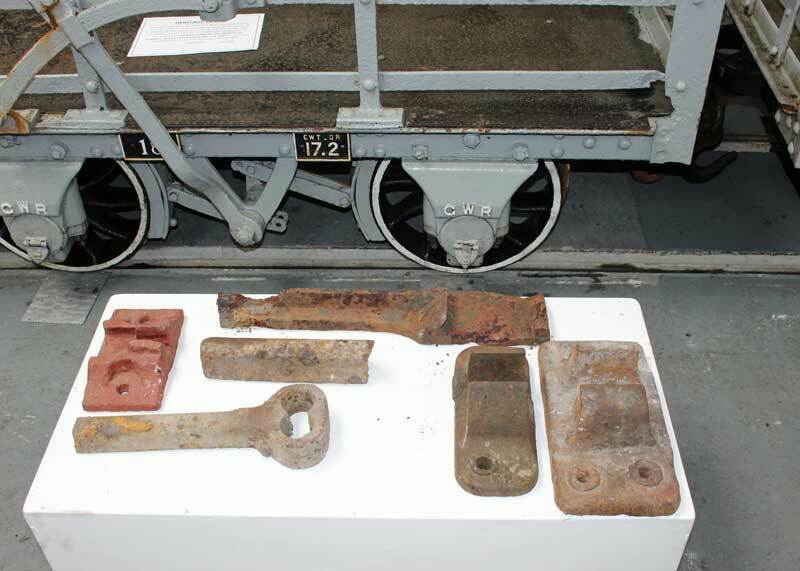 The care and effort with which this ever-growing exhibit of rolling stock and artifacts is laid out illustrates what it means to us. The railway does not lack enthusiasm. 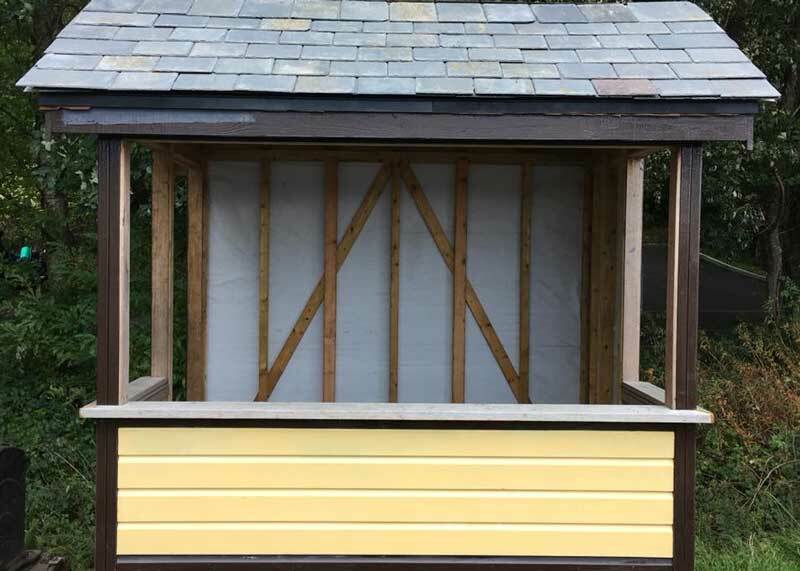 The Carriage & Wagon team comes into its element as the ‘season’ quietens down, and we show some photos of the new Llangower signal lever cabin which is getting closer to completion. The work has been ongoing and a few passengers were treated to the sight of one of the team working on the cabin roof as a train passed, although one wag thought it might be a rooftop protest about the lack of flapjacks that day! The BLR loves to get involved in outside activities and there were two such events where our volunteers ‘waved the flag’ to great effect. 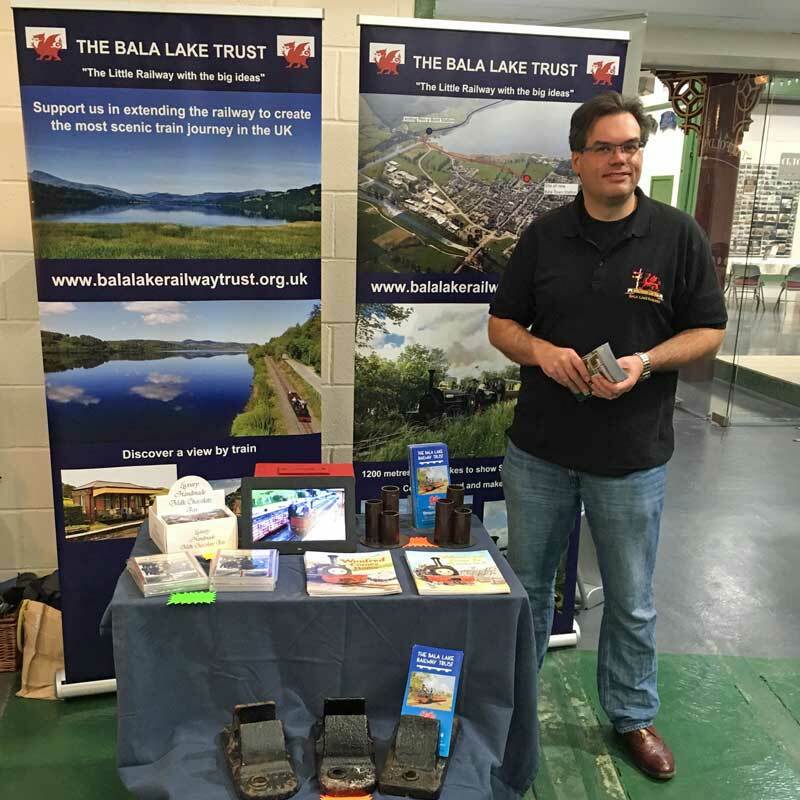 The final Open Day at the Statfold Barn Railway near Tamworth took place during the month and the BLR Trust stand was manned by Ben Abbott with Dave and Ailith Rutt. Also on hand was Trustee Toby Watkins who has done so much for raising funds for the railway and the extension. Lots of leaflets were handed out, over £100 was raised for the extension appeal and such was the atmosphere that the BLR has been invited back next year. The railway is always grateful when volunteers give up their time to promote the BLR as it gets our name in front of the public from a different part of the country. The second event with a difference was the Bala Motor Show, a trifle irrelevant here, it might be thought, except that it was staged on the new BLR station site in Bala. Inspired by the positive thinking of local garage owner, Ceiriog Hughes, the currently empty plot was a perfect location, this event being a first for the town and proving very popular. It was a perfect chance for the population of Bala not only to enjoy an interesting car show and also appreciate that the BLR really means business, in more ways than one, for the town. 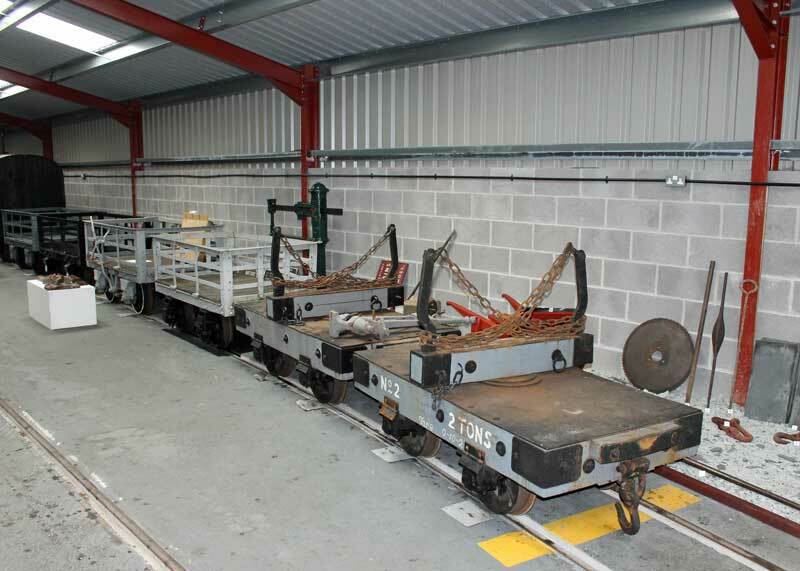 September saw the usual delivery of coal to the railway, something that regular readers will know is now a very polished operation where our bogie coal wagons are positioned next to the platform and the coal truck tips the load neatly and with minimal spillage. It was thus this month, but readers of the membership magazine, Llanuwchllyn Express, may be amused to glance at page 12 of the Winter 2013 issue. Even the railway can have an ‘oops’ moment! And finally……. The Wednesday Gang, our intrepid group of volunteers, is gathering again for three Wednesdays in October to attack what tasks need attention. This harmonious group of like-minded people achieves an enormous amount of vital maintenance, fueled as ever by lots of tea and flapjacks. Any assistance is always appreciated, so if you would like to help, please contact the railway. The work may be hard but the fun factor is always to the fore and if you want to get involved but cannot do Wednesdays, our first Working Weekend of the winter is on 13th and 14th October – we gather at Llanuwchllyn by 09:30 if you would like to join us. Again, please let us know. The website bookings are now being taken for the Santa Specials and as with the Halloween schedules, the seats fill up quickly, so do not delay. 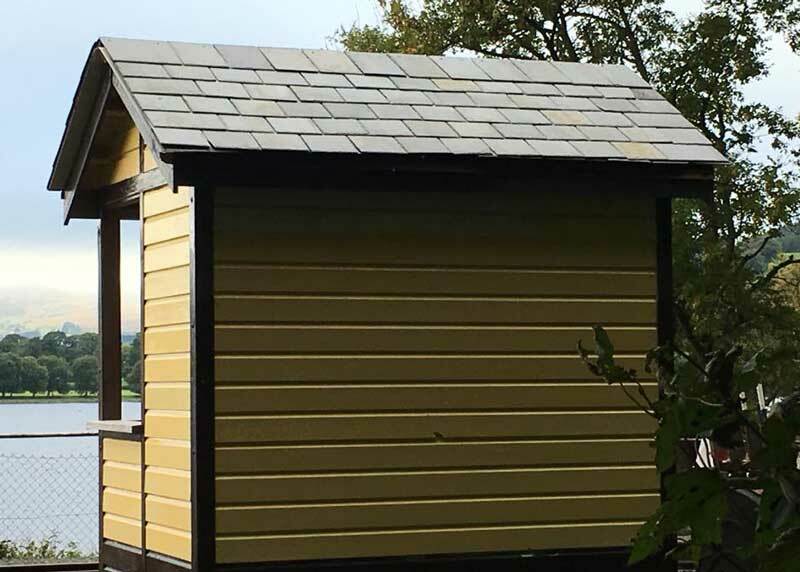 Lastly, our volunteers can manifest a very wide range of skills, apart from enthusiasm, and we are delighted to show the link to a short film by Ben Nelson which encapsulates the scenery and atmosphere of our lakeside line. Ben has already done one on the building and stocking of the new carriage extension, and in both cases, he expertly tells the relative story in a matter of minutes. For those who have yet to visit, they are the perfect taster.